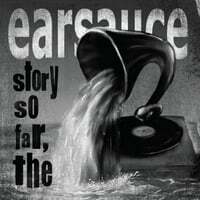 earsauce is an ongoing project of members Evan Valentine and Steve Bower. The two band members met years before the nearly-accidental formation of the band, and their friendship is much broader than just being bandmates. Band duties are split evenly (they are both multi-instrumentalists, songwriters, and vocalists) with the exception of very few elements. Thus far, over half of the songs released are instrumental in nature. Our aim is to combine all music styles that we admire, oftentimes in the same song. The acoustic guitars combine with such enhancements as breakbeats, synthesizers, and all manner of various and unique sound accompaniment. It is our desire to please each listener with a one-of-a-kind listening experience; each hearing the same music, but each hearing it distinctively different. Sound incredible? Listen and see what we mean. "Story So Far, The" Reviewed by RadioIndy.com! This is a set of self-produced home recordings. All 20 tracks run together in some form (gapless playback) and are intended to give the listener the feeling of being in the studio with the musicians at the time of recording.